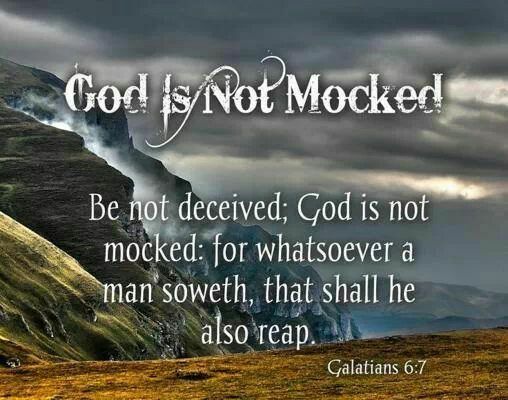 Do not despair, says the LORD, for I will not be mocked. You will reap what you sow. I will not fail you and you will not fail or fall. I Am faithful to My Word and I Am faithful in My WORK, and I will supply your need and give you the help that you need. For My Word is trustworthy even as My name, and My Spirit is moving and working always. I Am the cause and the effect. I AM your source at all times. I cannot lie and I will help you. I Am your provider and nothing has changed. Trust in Me at all times and hold fast to your profession of faith in Me, says the LORD. For I Am faithful and I will not withhold anything good from you. I will portion you and help you and counsel you and comfort you. I will cause you to prosper in Me and show you the path that you are to walk in and order your steps. Trust in Me. Trust that I have you, and Am in control. Trust that I, who have kept you all the days of your life will not abandon you now. I Am changeless, and what I have done in the past, I will do again. I have prepared for you and positioned you and provisioned you and protected you and preserved you in the past and today is no different. I am your sufficiency. I Am your source. I Am your supply, says the LORD. My Word is MY WORD, and I keep it, says the LORD. I honor it! I do it! I have done so in the past and I will do the same now and forever. I am consistent and unchanging! I Am capable and will do even more, according to your faith and trust in Me. Hold on. Hold fast. Be unwavering in Your faith, for I am unwavering and unchanging in My power and presence and I will take care of you, even as I have said, and you will not be destroyed or denied or detoured, but delivered and furnished and fat and full of My blessings that I have reserved for those who love Me, honor Me and serve Me, says the LORD. Thank you lord for your blessing.Amen. You are faithful God, amen. be praised. I thank you for fighting for me, for the battle id yours. I can not be defeated, for you are the Greater One, within me. judgement. I will condemn. Glory to God, Abba Father, I love you. Oh Lord Jesus. Thank you. In Jesus name Amen. Amen!!! I receive it Lord ! Amen powerful word! I have been asking the Lord specifically for Supernatural provision as we’re getting ready to close on our first home within the next 45 days and I know this is the word that I was believing the Lord for! Praise God for confirmation and thank you Prophet June for yielding to Him you’re a blessing to us. Thank you for your provision and your loving kindness Lord. I receive all that you have promised in Jesus name. Amen powerful word! im blessed.